Dr. J Adams is an Optometrist in Morrilton providing complete eye care services for the surrounding communities. Dr. Adams is originally from northeast Arkansas, graduating from Green County Tech High School. He then was a standout four year starter in basketball and baseball at Abilene Christian University in Abilene, Texas. Following his college career, he graduated from the Southern College of Optometry in Memphis. He then served as a Navy Optometrist on the marine base in Quantico, Virginia before moving to Morrilton. He has been serving the community of Morrilton for more than 40 years now. Dr. Adams has been a volunteer on several city and county organizations and is also currently serving as an elder for the Downtown Church of Christ. 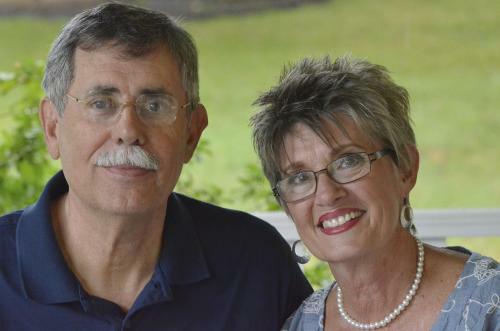 His wife Celeste has also been very active in the community of Morrilton and the two have been married for more than 45 years. He has an older son, Jon, who graduated from the U.S. Naval Academy and is currently serving as a Commander in the Navy. Dr. Adams has 7 grandchildren that he adores more than life itself. You can often find him at the lake at Choctaw on his day off. Dr. J Adams works hard to stay current on the latest advances in eye health and vision care and regularly attends continuing education seminars and advanced training courses. It is because of Dr. J Adams's dedication to continuing education that our Morrilton patients receive the most modern and progressive vision care available.